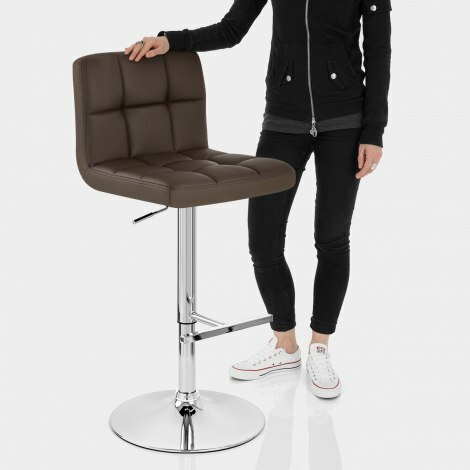 A sumptuous item of furniture, the Grid Bar Stool Brown brings unparalleled comfort and style to any environment from minimal to modest. A luxurious yet modern model, the Grid has so much to offer with its indulgent appearance and adaptable design. 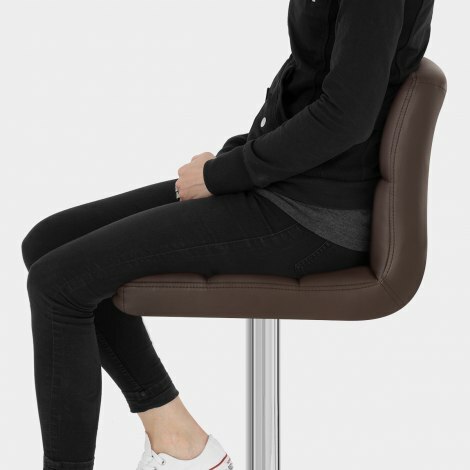 The one piece seat is padded with a thick layer of high density foam, clad in brown faux leather that is stitched into a grid-like pattern, hence the name. The backrest gives added support and with the help of the T-bar footrest, makes the Grid a very relaxing place to sit. As well as the stitching that accentuates the padding, the visual impact of the Grid also comes from the chrome-plated frame below. The round base adds stability and also protects your floor courtesy of a rubber pad beneath, and the gas lift mechanism allows you to rotate 360 degrees as well as raise or lower the height. "Lovely looking stools I'm very pleased with them"
We shopped around for quite some time to find a bar stool suitable for our breakfast bar and this stool is perfect. It’s comfortable and adjustable and easily cleaned which is what we need with small children. Delighted with my Bar Stools. Excellent value for money. Also would recommend Atlantic for their products and service. Very happy customer. Delighted with our oder. Arrived on time and easy to assemble. Would purchase from Atlantic again. 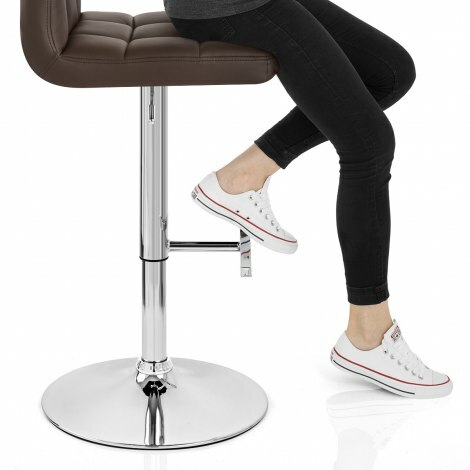 We purchased four of these stools - they’re really good quality and are comfy to sit on. Excellent stools and quality also excellent service from Atlantic. They are great.